California will be one of the first states to meet its federally-mandated health-care renovation requirements, the State Auditor’s office has reported in a new study. The insurance exchange was one of the earliest in the nation to be be formed, in swift response to passage of the Affordable Care Act. California’s uninsured population was the country’s biggest in 2011. The auditor’s report gives this state’s program passing grades but wonders if it will eventually be solvent — something that will not be known until the program is operational. Spending oversight and establishment of conflict-of-interest disclosure requirements earned praise from the auditor, but state officials have been tardy in hiring people to staff support centers. Also, California officials plan to be far more open with contract details than required by law, another element earning plaudits from the auditor. As I read the headline, I’m picturing California as the wide-eyed good little puppy, staring up at it’s master, awaiting approval. “The auditor’s report gives this state’s program passing grades but wonders if it will eventually be solvent — something that will not be known until the program is operational” Wonders if it will be solvent? I can answer that and so can any honest American with half a brain. The answer is NO. You can’t treat and cure people that have no way to pay for said services and run a solvent medical care plan. It’s not mathematically possible. I guess the group that did the study took a page from Pelosi’s book. We need to implement it to see if it’s solvent. What a bunch of crapola. I take it that these experts are grownups that graduated high school so I must presume they are trying to pass along a falsehood. 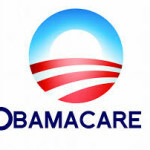 A falsehood concerning your healthcare, that’s unforgivable if you ask me. Would you please provide us with the title of the book you are referring to, when it was published and by whom? Maybe a chapter and page number too? Thank you. Is California going to be the first to tax EVERONE’S medical frindge benifit as taxable income too? California praises California. What do you expect? No one else praises California, so now they praise themselves. Not true. California is praised across the nation and throughout the world. Travel to Europe and other countries and you will find people treat California almost as a separate nation from the United States, very much loving California. As for Obamacare, on the radio I recently heard a health insurance expert outside of California praising California and pointing out that California is leading the way is positive changes in health insurance. California is a great state in so many ways. It’s a leader and an inspiration to millions. Better back off the medical herb there WiserGuy! The only thing “Great” about California is the land and climate. Right, 9 out of 10 Greek economists rate California as a world leader in Greek economic theory . Who are you kidding, WiserGuy? When was the last time you went to Europe–1970? California is a beautiful state, but an economic/social disaster. Haven’t you heard of the Land of Fruits and Nuts. Surfer Dudes. Europe, more than any other group besides Canada, is the most critical. We still have Hollywood, surfing, gay rights, and our high tech companies, but now we’re known as the mecca for welfare recipients and illegals from Mexico, business unfriendly, high taxes, and Kim Kardashian, and Jerry Brown. People in Europe think California is about to collapse. Of course, if you have traveled there after 2012, then maybe you saw a complete change of attitude. Europeans may love California, but they think Californians are laid back, lazy, and doped up stupid. Did you mean praise or raise? Since when it comes to our elected officials they do both. +1 witty and pithy! Hehe, nice.